CHELSEA CLOSURE! It's been a nightmare but could it be the kick up the arse we needed? As Chelsea's season came to a close last Sunday I couldn't help but feel a sense of relief and I was thankful for the fact that our nightmare season was finally over. I just wonder if it will turn out to be the kick up the arse everyone connected with Chelsea needed? I happened to tune into Match of the Day on Sunday night, watched the Chelsea coverage and immediately turned over as they stated it was the worst title defence ever! Despite it being over now, the effects of the season are still raw and I don't even want to reflect after writing this post. Plenty has been said about our woes this year and despite everything, I challenge anyone to put their finger on ONE single reason as to why it fell apart. I cannot imagine that a culmination of several factors would ever affect our season as badly again. Plenty of people this weekend have asked the question "What if Jose Mourinho wasn't sacked and remained in charge, would we have finished higher up" I believe we would have done and I look back now and believe that despite things being as bad as they were, we should have stuck by him and given him the chance to sort things out. The problem we have had this season which I have said before in recent weeks is that we have taken the past twelve years for granted. We have done so knowing that we had a core of players who were strong, who were leaders on that pitch, who commanded respect from their team mates AND from their opponents and above anything else, they could produce a moment of magic to turn things in our favour. We have all looked around that pitch and realised early on that the times have changed forever. Guus Hiddink was never going to come in for a second spell and be anywhere near as successful as he was the first time around in 2008. He had those players to rely on back then whereas now, we are a shadow of the side. He has openly admitted that it has been much, much harder which is no surprise. Sorry Guus but to cling onto the fact that you saved us from relegation is nothing to bang on about constantly, you SHOULD have done much, much better! Taking a few weeks to think about things and fresh from the love in we shared with Claudio Ranieri and his well deserving Leicester side on Sunday, I truly believe that the appointment of Antonio Conte is the first step in Roman Abramovich making sweeping changes this summer and starting to build a second revolution at Chelsea. The days of Chelsea having 25+ players out on loan are gone in my view as we cannot afford to stockpile these promising players anymore. We have done that when the first team have been successful and untouchable. Now, times have changed and Chelsea have a fantastic opportunity to finally bring through players by starting with playing ALL of them in the League Cup and possibly the early rounds of the FA Cup. 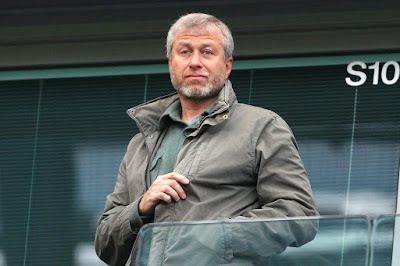 Chelsea's focus will on the Premier League and nothing else as we simply cannot afford to spend more than one season outside the Champions League. Antonio Conte has come in to re-establish and assert Manager dominance in that dressing room. He is here to install discipline and to make sure that HIS players respect him. Anyone offering a different point of view will find themselves out of the door without question and right now, looking at the state of our squad, I really, really like that. Now is a time to look forward, to re-group and to attack the summer and pre-season as we should. We need to get rid of those players who have no future beyond the summer as quickly as possible and get our deals done early. We cannot afford the same mistakes Michael Emenalo made a year ago. Everyone from Roman Abramovich and the people that work under him need to look at the Premier League table to understand that this simply cannot happen again. I would put your Mortgage on things being very, very different these next few months and as we approach kick off in our first game of the new season, a very different Chelsea side with a very different tactical approach upon us. These past nine months have given all of us a kick up the arse which is exactly what we needed. Now we look forward to a new Chelsea - thank god!